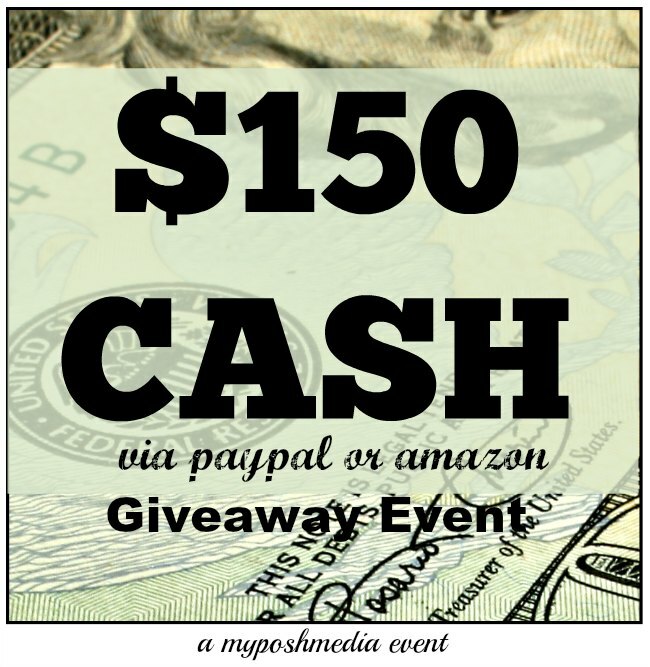 We’re giving away $150 Cash! Disclosure/Disclaimer: This site or any other site associated with this event has in no way been compensated for the preceding information. This giveaway is valid where allowed by law, open to anyone who is able to shop at Amazon.com or use PayPal and who is over 18 years of age. One winner will be randomly selected on 5/30/16, notified via email, and will have until 6/01 /16 to reply. If there is no reply another winner will be randomly selected.